Spinaclean Ltd formed in 2004 by Andy Whiting. The aim of the company was to provide a local paving cleaning service for Northamptonshire. It soon became apparent to Andy that the market place for this type of service is huge and that there was no other business offering a one stop shop for individuals wanting to start their own paving cleaning business, along with the necessary advice, back up and support. Coincidently at the same time, Paul Crosbie had launched Jetstream Driveclean in Buckinghamshire. After meeting at a Training Day, Andy and Paul realised they shared the same vision synergy and teamed up to help one another on larger projects. To add to the paving cleaning and giving his engineering background, Andy launched SkyVac, a gutter cleaning system all from the safety of the ground, which today is a global success. 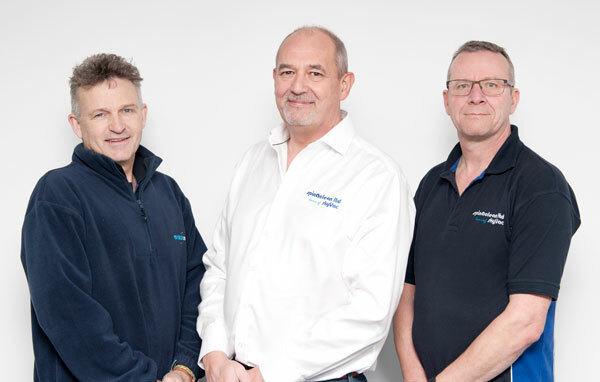 With two growing successful businesses and the passion to help others build their own, Spinaclean and Jetstream Driveclean amalgamated in September 2011. The two businesses still retained their individual identities and provide the same dedicated back up and support for anyone looking to start their own external cleaning business.